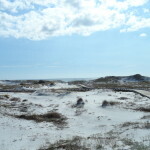 “I want to buy something there on 30A and I want a deal. Are there any bank repos or short sales”. This was the start of many conversations with prospective buyers who, for several years, took advantage of the severely declining real estate market by jumping in and picking up a property here at a great price. The days of providing a buyer with a list of short sales and reos to look at are over. The market here on 30A has rebounded quite nicely and the days of the readily available deal are no more. There are a few things about our market here as we enter 2014 that prospective buyers need to understand. Short sales and bank repo’s are still coming on the market but at a much slower pace and at prices much more in tune with existing prices. Banks are no longer swamped with real estate inventory that must be charged off at ridiculous prices. When short sales and bank repo’s do hit the market here on 30A, there is a pent up demand for them that almost always results in multiple offers on a property that goes under contract within a day or two and often at a price higher than the asking price. Banks are negotiating prices more agressively than they used to and an offer on a short sale today is just the beginning of the process. We are also seeing short sale properties coming on the market at prices more in line with the current market prices as bank asset evaluators and portfolio managers now realize this demand and are able to get more for these properties than they could a few years ago. Another thing to remember is that banks are no longer paying for repairs and arrears in order to sell a property. Many of these properties are now being offered “as is” which puts those expenses on the buyer. If you are a buyer that is persistent in your motivation to find a “deal” on a short sale here, it is critical that you use an agent that is very familiar with existing prices and has the ability to compare and contrast each property against the market. It is important to remember that there are still some excellent opportunities in the market today. Yes, prices are rising but it makes more sense to purchase a property that will be worth more tomorrow than it is to purchase a property that will be worth less. This is one of those counterintuitive behaviors that Warren Buffet preaches when making an investment. 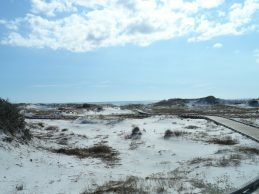 Buying real estate here on 30A is an excellent investment.